Where in the World is George the Geographer? Where in the World is George - no. 3 ? Where in the World No 3. Can you name the country where George got ready for Christmas at Santa Claus House?. Click on the clues to help you. Click on answer to check if you are correct. The Santa Claus House is 1,769 miles (2,846 km) from the Earth's North Pole. it is less than 120 miles (190 km) south of the Arctic Circle. The world's largest model of Santa Claus is found here. It is almost 13 metres tall. 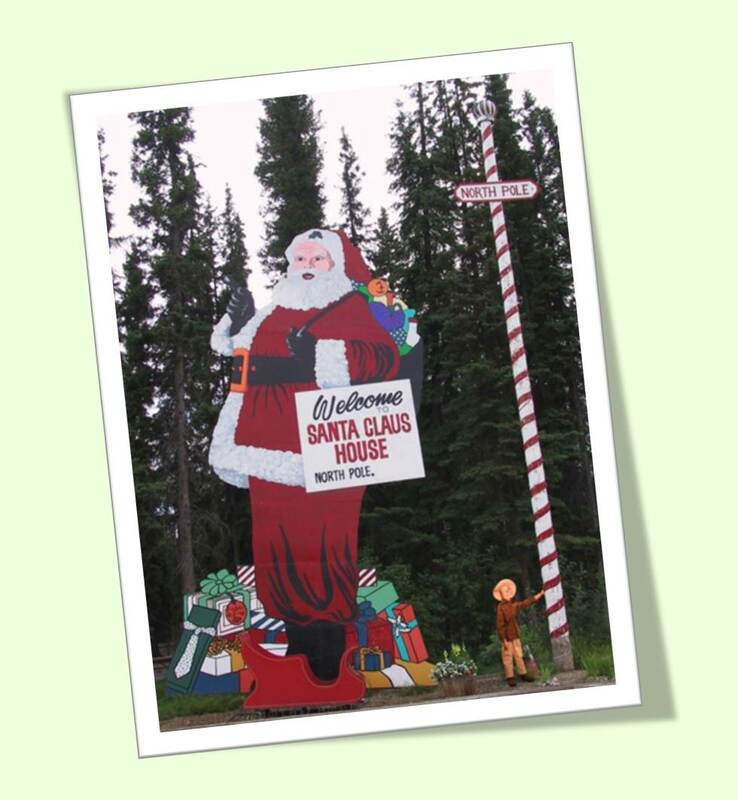 Many of the streets in North Pole have names linked to Christmas.... Santa Claus Lane, Snowman Lane, Kris Kringle, Mistletoe, Holiday Rd., Saint Nicholas Drive, North Star Drive, Blitzen, and Donnor. The street lights are red and white and look like giant 'candy canes'. Its Christmas all year round! Thousands of visitors stop at Santa Claus House. You can meet Santa all year round. Apart from tourism, the major industry is its oil refineries. These are connected to a major oil pipeline. 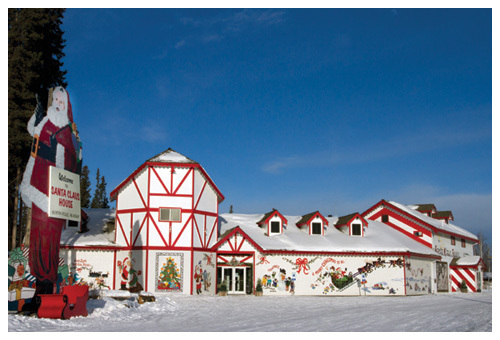 George is at Santa Claus House which is in North Pole, Alaska, USA.